We are now back on Sage. We returned to Sage on October 20th. 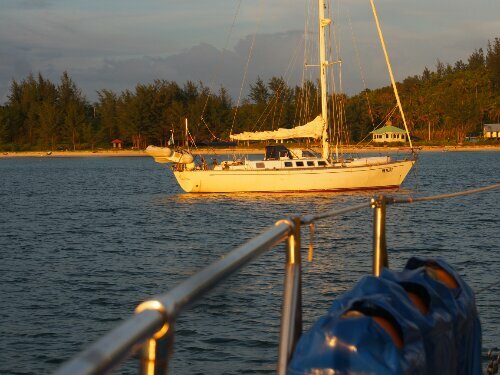 Kudat was a mad dash to reurrect Sage and prepare her for sailing in the south China Sea. The boatyard, Penuwassa, in Kudat was more than satisfactory being exceptionally careful in putting Sage back in the water and offering assistance wherever they could and providing a safe and secure place to leave Sage for 5 months that is well out of the typhoon belt. It took us a week to put things right before we could launch her. Then it was fill the water tanks, buy a few supplies and head south-west towards Kota Kinabalu. 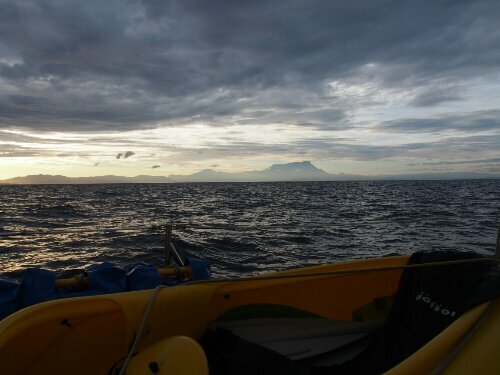 Our first anchorage was about 15 miles north of Kudat at what is known as the Tip of Borneo i.e. 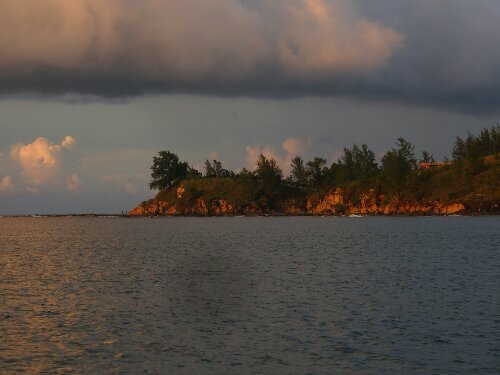 the most northerly spot on the island of Borneo. We were so excited to once again be at anchor, feel a bit of an ocean breeze and have the chance to swim in clear and clean water. Nausicca also joined us in the anchorage having pretty much been on the same schedule as ourselves. It was deja vu all over to have an anchorage to share again with Marcello sharing each of our European experiences. 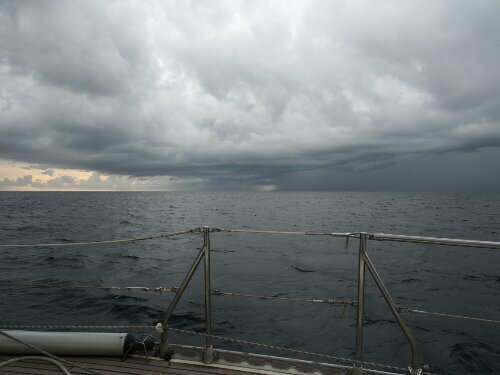 The next day saw us moving further west towards KK on our own but not without confused weather and threatening conditions. Mt. Kinabalu dominates the landscape. Moving along without getting wet and lit up by lightning was a real challenge. Our destination was KK and a marina we had heard of for at least 18 months before arriving. It has to be the most luxurious marina we have been in. But then this was the first marina we had been in for 2 years. So, now when we get up in the morning we can do as the picture details. 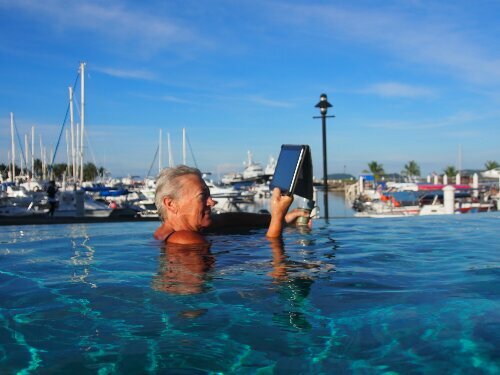 Morning papers and coffee by the pool!